Excellent Mod at a great Price!!! Good quality, price and performance with very competitive price thankfully to BuyBest. SMOK T-Priv TC Box MOD 220W - Blue/Multi-Color. Futuristic and another great MOD from SMOK. 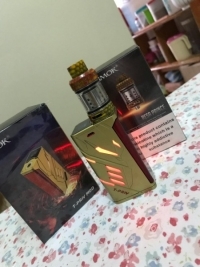 This MOD is continuing the legacy that Smok started with X-Cube family mods, H-priv, but this is probably the one that beat all of them. The light effect and the ambient colors combined with various color options from Smok give attitude and personality. Again the build quality sturdiness and reliability vice versa the price isn’t compromised. The Smok continues to make innovate and build products with their own character that defines them on the market. Probably the best online shop with great deals on flash sales, promotions, weekly deals, SMOK deals which are my favorite selection. For every purchase the client is rewarded with points which can be exchanged in point mall. My opinion is that BuyBest should allow clients to exchange their points directly in cart (for regular deals) no more than 20 percent of value of the product. Or adequate amount of points to be exchanged in additional selection with Coupons that client can use during checkout. This will be very attractive and interesting option to attract the client and to harden their loyalty. Fast secure shipping and free from orders above 20 usd. Depends of the region the shipping in central Europe is approximately 14 days. The items are shipped maximum within 24 hours from clearing the payment. Product is good, everyone works great, low price. 20 days & still no status update. Where is my order? Great mod ,I love T priv with the screen on top of the mod. Cant fault this mod . 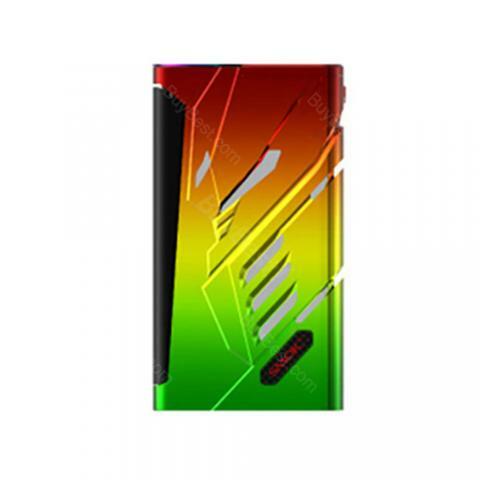 SMOK T-Priv TC Box MOD has 18 colors can choose, supports dual replaceable 18650 batteries offering 220W Maximum output. Hollow out design and adjustable LED can give you a better experience for color demands. 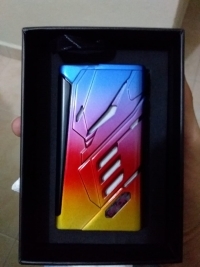 T-Priv mod also features big fire key and multiple protections, the screen helps you to read and operate easily. What is more, it comes with 510 thread, you can compitable with TFV8 Big Baby Tank. 18 colors can meet your different needs. • No e-liquid, no 18650 battery included.